What is a vertical mast lift? 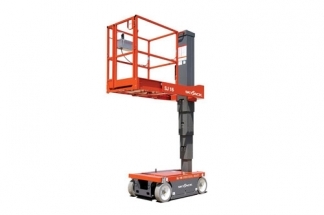 A vertical mast lift is an aerial work platform (AWP) that moves up and down a vertical mast, to allow access to areas of height. 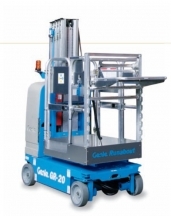 These are also referred to as mast lifts, vertical mast booms or personnel lifts. 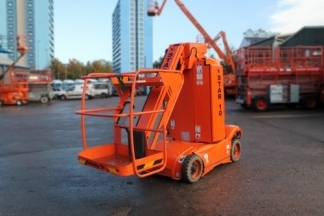 What applications are vertical mast lifts good for? What training do I need to use a vertical mast lift? 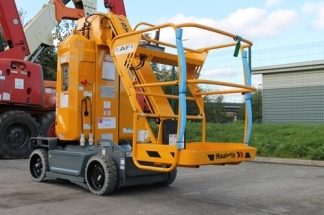 In order to operate a vertical mast lift, you will need to have category 3a IPAF training. 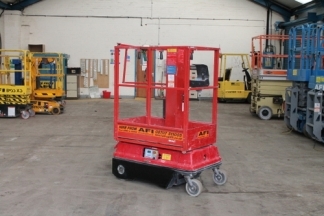 We can provide training in just the area you require, or we can provide IPAF training for 2 subjects, which will qualify you to operate machines that fall into the 1a, 1b, 3a and 3b categories, such as a scissor lift and cherry picker. Our team are experts in servicing and maintaining mast lifts. If you are still unsure which type of cherry picker or vertical mast lift you need for your application, then get in touch and our experienced team will be able to talk you through your options.